Recent Mona Lisa news on the Internet claims that Mona Lisa is pregnant! These and other ridiculous theories and allegations about the woman in the famous Da Vinci portrait have been splashed on newspaper and magazine pages for centuries - almost as long as the iconic painting has been around in the first place! Painted in the early 1500s by Italian artist Leonardo da Vinci, the Mona Lisa is considered a masterpiece of Renaissance art and is proudly displayed at the Louvre Museum in Paris, where millions of visitors come to view the painting each year. Mona Lisa news is never dull! 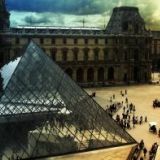 In fact, the very first time the painting hit the headlines and became famous was when it mysteriously disappeared from the Louvre Museum and went missing for three full years! Although it was thought to be lost for eternity, the portrait reappeared just as mysteriously, having been stolen and returned by an employee of the museum. Ever since then, Mona Lisa news has been never-ending. 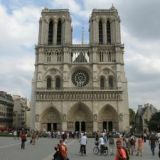 First, myriads of copies claiming to be the "real deal" have emerged over the years, only to be ultimately rejected by art historians as clever reproductions. These Mona Lisa look-alikes have appeared in art galleries, antique auctions, and the palaces and mansions of European elite. Similarly, there is no end to the theories and conjectures regarding who the original Mona Lisa was - that is, who was the woman posing for Da Vinci in his famous portrait? 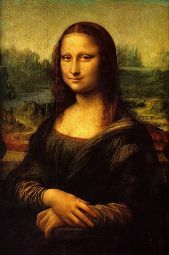 While some theories claim that the Mona Lisa is actually a self-portrait of the artist, drawn in a feminine form, today art historians and experts generally agree that the original Mona Lisa was a woman by the name of Lisa del Giocondo, who was the wife of a wealthy silk merchant from Florentine named Francesco del Giocondo. However here is a piece of trustworthy Mona Lisa news that you may not have known: "Mona," in Italian, means "Mrs.," "Madam," or "Ma'am." But "Mona" is actually a contraction of "Madonna," which means "My Lady" in Italian. And hence the "Mona Lisa" translates into "My Lady Lisa," referring to Lisa del Giocondo, the woman with the enigmatic smile whose portrait is recognized all over the world and whose face will always be remembered. So the next time you read a headline that reads: "Pregnant Mona Lisa: Who is the Father? ", or "New Woman Identified as the Figure in the World's Best-Known Painting," remember to take it with a grain of salt since not all Mona Lisa news – especially a new-fangled concoction - is true.